Globe Telecom welcomes the arrival of the Internet Television network Netflix in the Philippines. Starting at Plan 1299, users can fully access Netflix with Google Chromecast experience at home. The leading telecom industry in the country, Globe Telecom, soars high to its customer base, as network of choice by the users amid to shifting-off digital lifestyle. In the first half of the year, Globe Telecom's customer base hit a new record reaching 52.7 million, a 17% increase from 45 million last year. The company also hit a record breaking financial performance in the first half of the year, generating 53.8 billion, a 13% growth from a year earlier. Globe President & CEO Ernest Cu (center) announces the company’s record-breaking performance in the first half of the year at a recent analyst briefing. Joining him from left are Chief Finance Officer Albert De Larrazabal, Senior Advisor for Consumer Business Daniel Horan , Executive Vice President & Chief Operating Officer for International and Business Markets Gil Genio and General Counsel Atty. Froilan Castelo. “Globe is the Filipinos’ leading choice of network for their digital lifestyle, evidenced not only by robust growth in customer base but also by strong growth in mobile data revenues, which now contribute 23% of total revenues compared with 16% from a year earlier. We expect this trend to persist amidst the growing number of smartphone users and as we continue to offer products and services that provide relevant content that will further enhance our customers’ digital lifestyle,” President & CEO Ernest Cu said. At the end of the first half of the year, Globe generates 48.4 million of mobile subscribers which mobile services revenues to increase 10% from 37.8 billion pesos to 41.6 billion pesos. To start kicking off the year 2015, Globe announced from its Chief Operating Advisor of Glober Telecom, Peter Bithos about this GOOD VIBE promo. Globe brings a gift of home this Christmas to some families affected by the Typhoon Haiyan. In a small coastal town of New Washington in Aklan, there were many houses swept away by the typhoon, today, it is specially meaningful day to them — they not only spend time with their love ones, but they can work in their homes. The move was set in before the holidays, Salima Alcala and Nelia Roga together with 38 other families are filled with gratitude and hope as they await their wonderful gift from Globe Telecom and Gawad Kalinga. Ruby, according to JTWC, is carrying sustained winds of 130 knots or 240.76 kph and has gustiness of 160 knots or 296.32 kph (2am update).It packed maximum sustained winds of 175 kph near the center and gustiness of up to 210 kph, and is forecast to move west-northwest at 25 kph. Globe Telecom unveils its GoGadgets feature service that gives prepaid subscribers to make their own prepaid bundle and choose a gadgets. GoGadgets is the first-of-its-kind prepaid service that allows customers to create their own prepaid bundle by choosing a gadget from a menu of discounted Android phones ranging from as low as P2,699 to P7,899. Globe Telecom unveils its offering with Prepaid LTE SIM cards to its subscribers for faster browsing speed. Starting 14 November 2014, Globe customers can avail the latest iPhone models in Globe Postpaid Plan. Globe is now officially launched to deliver complete, amazing, and compelling offers to customers with iPhone 6 and iPhone 6 Plus postpaid plans with exclusive privileges. iTunes app purchase can now be charged to your load or Postpaid bill via GCash AmEx! The National Basketball Association (NBA) and Globe Telecom (Globe), announces a comprehensive, multi-year partnership. In a press release, Globe Telecom, the Philippines’ leading mobile Internet provider, introduced exclusive NBA League Pass Offers and NBA Content to its subscribers. The yet most advanced and featured device comes in the postpaid plan from Globe Telecom. The interested customer can now get Samsung Galaxy Note 4 for only P1,899.00 a month at Plan 999 with P900 monthly cashout. In a press release of Globe Telecom, the company unveiled that it offers the newest Samsung Galaxy Note 4. Customers can also maximize the features of the Samsung Galaxy Note 4 with the most complete postpaid plan bundle with access to lifestyle suites. Want to acquire the yet one of the most premium and luxurious smartphones in postpaid subscription? 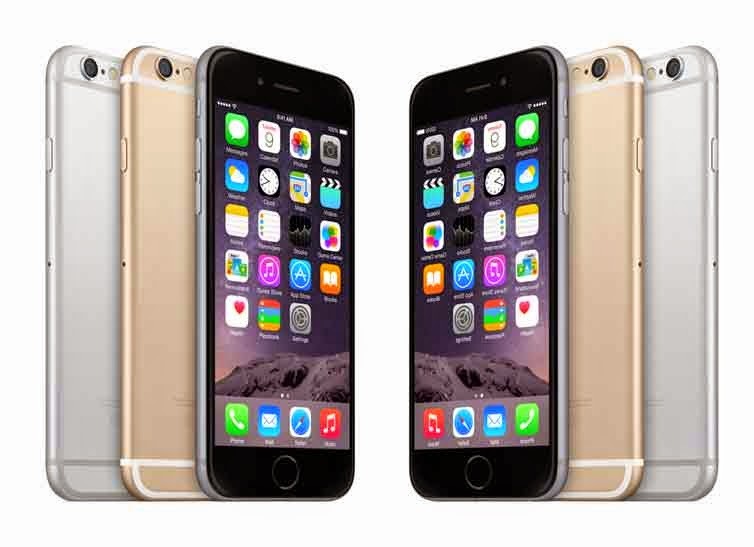 Globe Telecom offers iPhone 6 and iPhone 6 Plus beginning November 14, 2014. In a press release, Globe Telecom announced it will offer the biggest advancement in iPhone history. 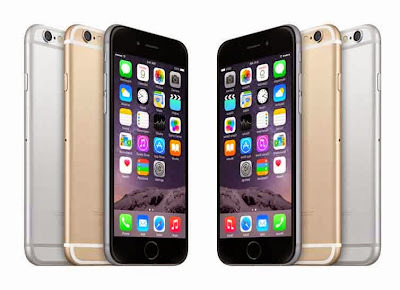 The interesting customers can pre-register at iPhone 6 and iPhone 6 plus. Globe's GCASH will now partner with KIVA, a leading online network of microfinance source. In a press release by Globe Telecom, Kiva, a global funding source, will work together with the GCash to build and commit nation building, to generate more opportunities, and to help customers in times of assistance. In order to achieve quality customer service, it needs to adopt practice especially talent management. Also, it needs better leaders for the new business challenges faced. The prevention of National Telecommunications Commission (NTC) from acting the joint application for acquisition by Globe Telecom on majority stake in Bayan Telecommunications Inc. will have an impact on Bayan's customers in terms of services and improvements. For those aspiring filmmakers and college undergraduates, Globe Telecom offers a great opportunity for filmmakers wannabes to make and express 5-minute film and to win P100,000 prize! The wonderful story could be anything—from a long-awaited text from an old friend to a last-minute call from your dream company—as long as Globe plays a key role. Tropical storm Mario brings flood in most part of Northern Luzon. People can reach help in the following hashtags #StaySafePH and #MarioPH. Globe Telecom validates its Share-A-Load or Share-A-Promo transactions against scammers. In a report, Globe users will receive a validation messages after issuing a command of Share-A-Load or Share-A-Promo transactions. In this way, it will prevent from sharing load/promo from text scammers. In its celebration of Globe Innovation Month, Globe Telecom showcased its new LTE technology that will increase bandwidth, utilize of frequencies, enable mobile operators to use non-contiguous blocks of frequency bands, and paves way to deliver multimedia services efficiently. Don't have debit or credit card to buy favorite apps on Google Play Store? Well no problem. Globe offers a direct billing for Android app purchases in Google Play Store. Globe Telecom installed its automated filtering mechanism which prevent or block spam, scam, unwanted , and annoying messages to mobile users.